Born and Raised in the tropical paradise we call Long Island, NY, a child of the eighties and nineties, Rebecca Perl announced at age 13 that she would be a singer songwriter when she grew up. Born into a very musical family, googling “How To Play Guitar” was all she needed before running with her dream. The pop music radio of the late ’90s carried a heavy dose of acoustic pop music, and Rebecca gravitated to that sound. This is where she first saw artists like John Mayer, Dave Matthews Band, Jewel and Michelle Branch perform live, which greatly influenced her musical tastes. By 2012, Rebecca landed the first of many major gigs supporting Ryan Cabrera, Teddy Geiger, Tyler Hilton, Gavin Degraw, Vertical Horizon, Olivia-Newton John, Howie Day and others. All the while in 2013, she was writing new music and recording her debut album “Rendezvous.” Rebecca sold out The Studio at Webster Hall for the release of “Rendezvous” in April 2013, the album garnered great reviews from critics around the world. 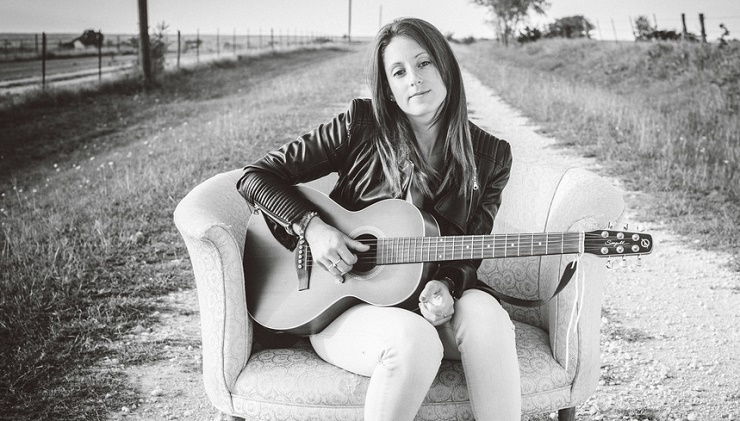 Rebecca moved to Austin, Texas in September 2014 and has recently completed her second studio album, “Point Of No Return” marking a major event in Rebecca’s life as a songwriter and performer, leaving it all behind to start anew in the music-rich city of Austin, TX. Aside from being the Live Music Capital of The World, Rebecca could hardly resist the plethora of delicious food trucks and the quirky atmosphere of Austin. She’s gladly here to stay. Rebecca perform an official music showcase at SXSW on March 21st in Austin, TX, and on April 28th, Rebecca released her Sophomore album, “Point Of No Return” both digitally and on CD. ‘Point Of No Return’ combines the catchy sounds of folk and pop while remaining honest and truthful in the lyrics. She returned from her Southeastern tour in late May 2015 and has recently wrapped up a West Coast tour with Howie Day in August 2015. You can download “Point Of No Return” on iTunes.